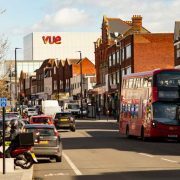 As many of you probably know, Vue will be opening their new cinema in Eltham on the site of the old Poundland/Co-op. The planned opening date is the end of April. There will be six screens with a total of 850 seats – 126 of which will be VIP. In addition to the cinema there will be the ‘Sky Bar’ and new restaurants including Nando’s and Pizza Express. In my regular monthly blog, I will be picking some of the films that I think you will enjoy. 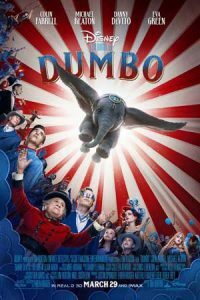 Disney and Tim Burton’s Live Action remake/reimagination of the 1941 classic starring Colin Farrell, Michael Keaton, Danny Devito and Eva Green. Something for everybody young or old – released 29 March. 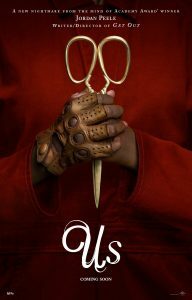 The second film from Oscar Winning director/writer Jordan Peele is a horror film/thriller that is sure to get you jumping in your seats – released 22 March. The new DC Comics adaptation stars Zachary Levi and Asher Angel as Billy Batson, a fifteen-year-old boy who is given superpowers by the wizard Shazam. Not your typical superhero film, plenty of comedy from the beginning – released 5 April. 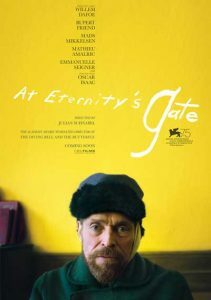 Oscar-nominated film starring Willem Dafoe, telling the story of Vincent Van Gogh. Dafoe thoroughly earns his Oscar nomination, portraying the great painter in the latter part of his life. Stay tuned for next month’s picks and more news on the cinema as it comes. 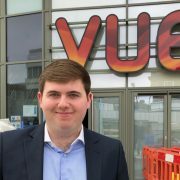 Matthew Farrelly is an Eltham Resident and massive film fan.